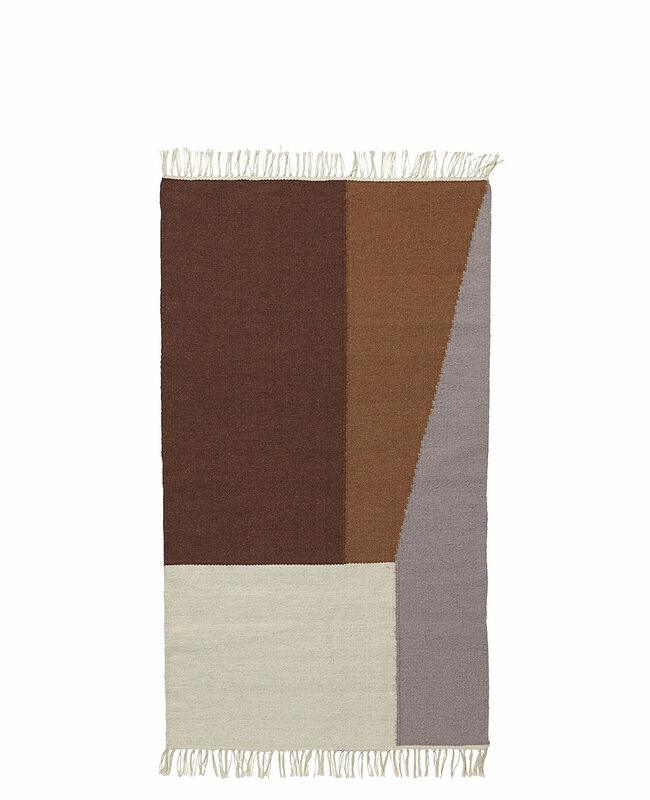 Cheerful, chic and graphic, the collection of Kelim rugs brightens up your interior! This collection combines traditional weaving techniques with modern geometric patterns. The retro colours match wonderfully. The fringe finish is very elegant. This creation is a perfect example of the "Ferm Living" spirit, the new wave of Scandinavian design. Creator Trine Andersen has a particular talent for mixing vintage design and natural inspiration to give her products a sleek and modern style. Her creations revisit the traditional graphics of Scandinavian style with a modern and powerful twist.